Relax and Enjoy your home!! Call for details!! 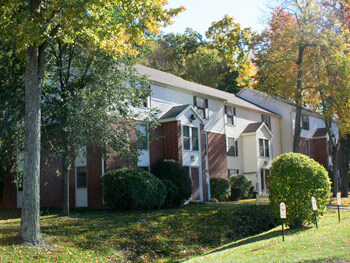 Our community is located in the prestigious Westlake area of Middletown with a beautiful country like setting. Ridgefield Apartments offers our residents a little slice of heaven. You can start your day with a refreshing swim in our beautiful seasonal pool or relax with a book on your private balcony. We encourage our residents to take advantage of the bike paths as well as hiking trails for those outdoor lovers. Enjoy a night out in the vibrant downtown area. Lively entertainment, great shopping and restaurants are easily accessible. This area give you the lively entertainment of a college town with the quiet peacefulness of suburban living. Enjoy a quick commute with convenience access to all major highways. We offer spacious closets and eat-in kitchens, come with dishwashers. In our loft apartments, you will find vaulted ceilings, ceiling fans and skylights. All apartments are air conditioned for you comfort.